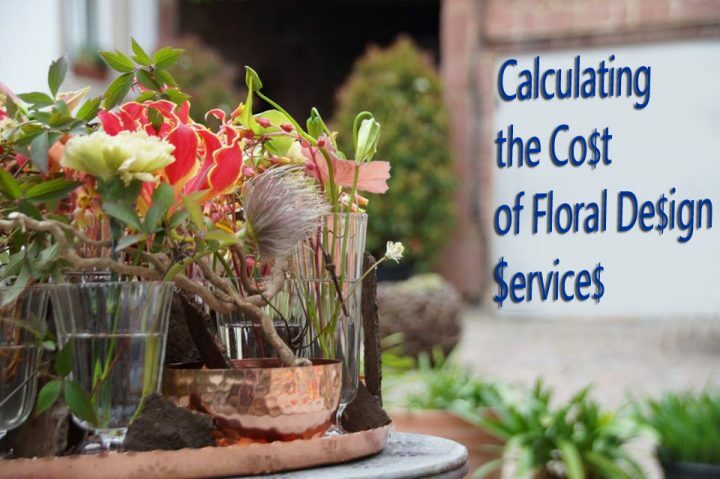 How do you calculate the cost of flower arrangements? Floral designers have a complex job. You are not only an artist but also a botanist who needs to know about the care, handling, lasting ability, and behavior of the flora you handle. You are also a customer service specialist who deals with custom orders and clients. So you have to follow specific formulas every time you create an arrangement, in order to calculate the cost that’s fair and consistent with the current market. Retail price of flowers depends on the floral shop location. The common increase of the retail price, compared to the wholesale price, is about 3 times. Processing roses takes more time, that’s why the retail price supplies cost increase for roses is about 4 times. The common increase of supplies retail price, compared to the wholesale price, is about 2 times. When wedding flowers arrive at the flower shop, you should give them special treatment. The bundles of flowers are unboxed and unwrapped. Each stem is inspected for quality and the lower foliage is then stripped off. Stems are placed in a special hydrating solution for several hours to recover from their journey to your shop. After a few hours they’re placed in storage cooler. Finally, the bouquet is wrapped in a tissue paper, placed in water, and boxed. A box is labeled with the bride’s name and the wedding date. It takes a full team of people to create an average-size wedding, so remember that you’re hiring the whole shop for your event. Also, as your floral team is working on your wedding, they also have to attend to each and every customer who enters the shop. 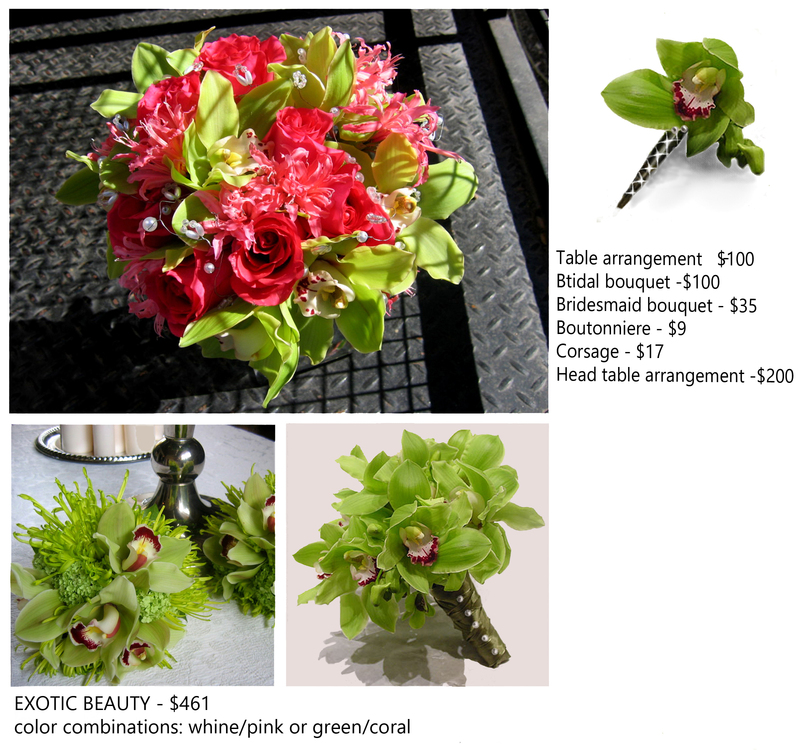 It is better to start working on a wedding on Monday, preparing containers, ribbons, etc. There is now the new app available! The basic premise of Floral Arrangement Pricing is that your labor charge should be based on the fact that the container should be 10% or less of the total order. If your container is more than 10%, you need to calculate the difference between your container and the 10% allowance. Then reduce the total of the order by that difference. Now, you can calculate your labor charge on that reduced amount. Floralator allows for two options, the first option calculates the amount available for flowers (fresh) when filling an order, by simply inputting the order total and the container charge. The second option calculates the retail price of an arrangement, by inputting the total in flowers (fresh) used, and the container charge. Make sure the correct labor charge is selected. Every shop owner decides what labor charge they need based on their particular situation. There is a 5% (up to a maximum of $5) supply charge automatically added in to each order. View our Floralator related Videos on YouTube.